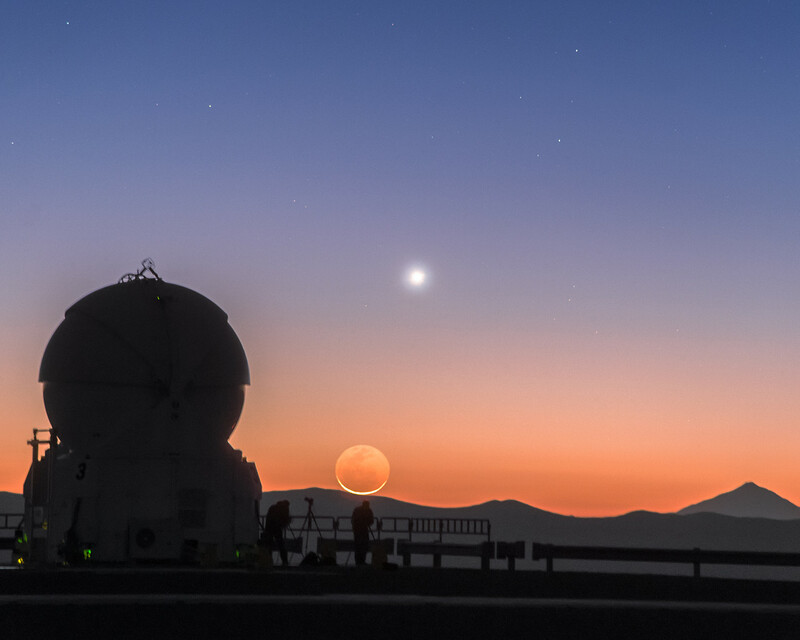 As the Sun raises at Cerro Paranal, in Chile, filling the sky with superb orange shades, two members of the ESO Fulldome Expedition, Babak Tafreshi (left) and Yuri Beletsky (right), are preparing their tripods and cameras for the day ahead. 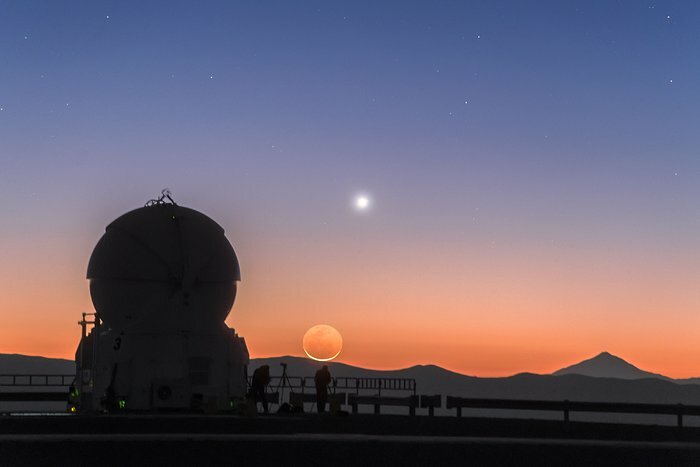 Above the silhouette of the Chilean mountains, the gentle smile of a crescent Moon and the bright planet Venus strike a pose for the cameras. Thanks to a phenomenon called earthshine, the entire disc of the Moon can be seen shining in light reflected off the Earth. 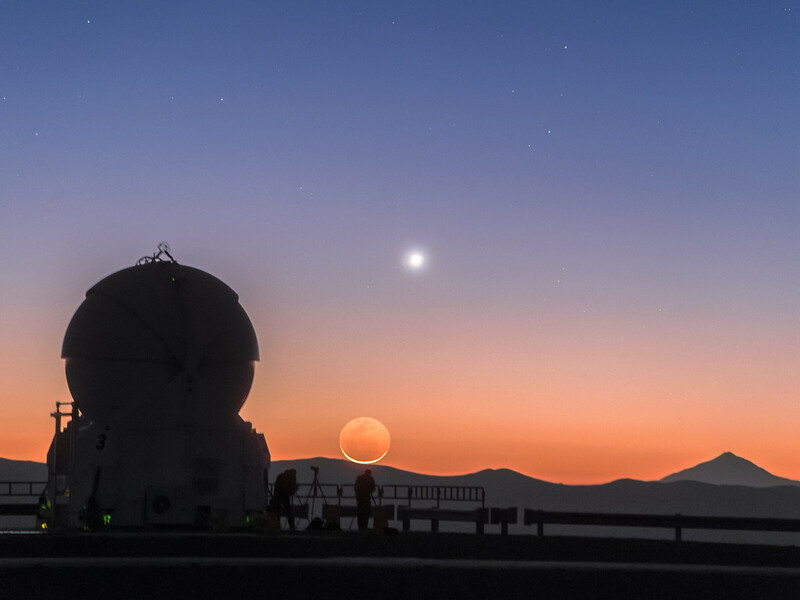 The telescope in silhouette in front is an Auxiliary Telescope (AT), part of Very Large Telescope (VLT) at ESO's Paranal Observatory. 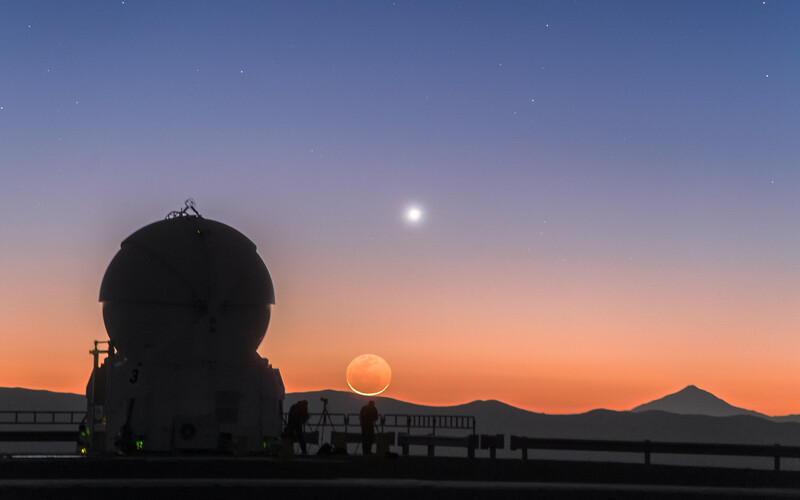 This twilight moment was captured by ESO Photo Ambassador Petr Horálek, while participating in the ESO Fulldome Expedition which is gathering spectacular images for use in the ESO Supernova Planetarium & Visitor Centre, currently under construction at ESO’s Headquarters in Garching (near Munich), Germany.